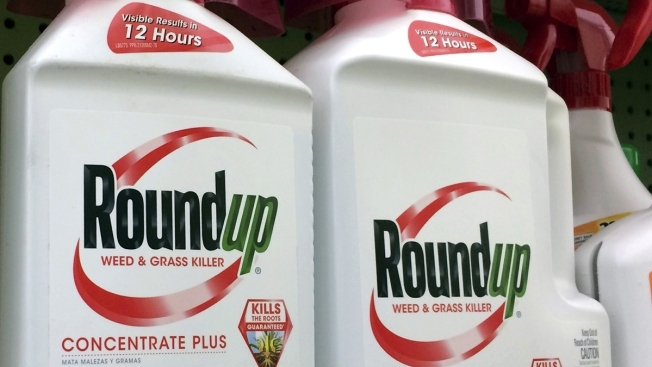 A San Francisco judge said in a tentative ruling Wednesday that she would order a new trial in a $289 million judgment against agribusiness giant Monsanto brought by a school groundskeeper who says Roundup weed-killer caused his cancer. San Francisco Superior Court Judge Suzanne Bolanos issued the ruling ahead of scheduled oral arguments Wednesday. A jury in August awarded DeWayne Johnson $39 million in compensatory damages and $250 million in punitive damages. Bolanos' tentative order applied to the $250 million award; attorneys were arguing in court over whether the $39 million in compensatory damages should stand. Bolanos wrote plaintiff Johnson failed to produce "clear and convincing evidence of malice or oppression'' by Monsanto. She wrote that he did not provide any evidence that Monsanto employees believed that exposure to the product caused his lymphoma. Johnson's attorneys responded in court documents that the jury was well-educated and attentive. The evidence at trial was "more than sufficient to support an inference'' that Johnson's cancer was caused by his exposure to Monsanto's herbicides, the attorneys said. "Mr. Johnson's story is tragic and could have been prevented if Monsanto actually showed a modicum of care about human safety,'' they said. Johnson's lawsuit is among hundreds alleging Roundup caused cancer, but it was the first one to go to trial. The jury in August determined that Roundup contributed to Johnson's cancer, and Monsanto should have provided a label warning of a potential health hazard. Johnson sprayed Roundup and a similar product, Ranger Pro, at his job as a pest control manager at a San Francisco Bay Area school district, according to his attorneys. He was diagnosed with non-Hodgkin's lymphoma in 2014 at age 42.